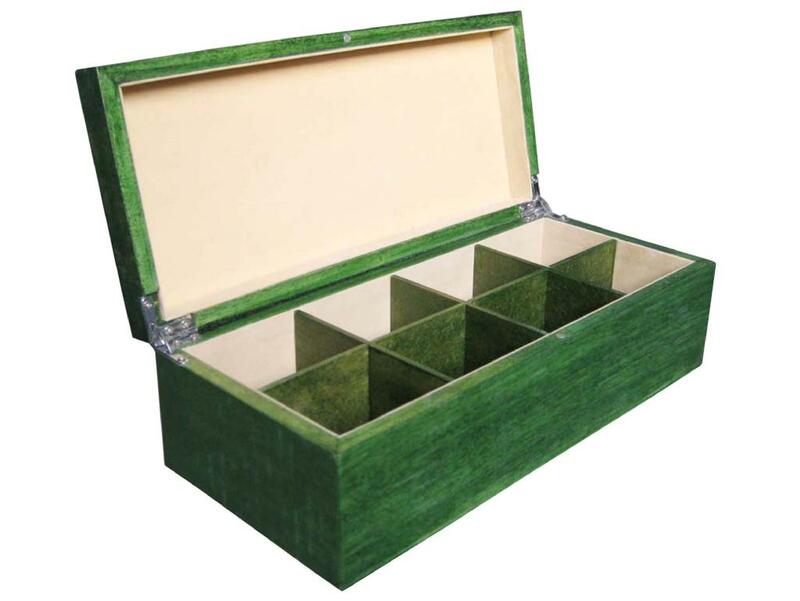 Here is a well built, superior quality wooden tea bags chest. 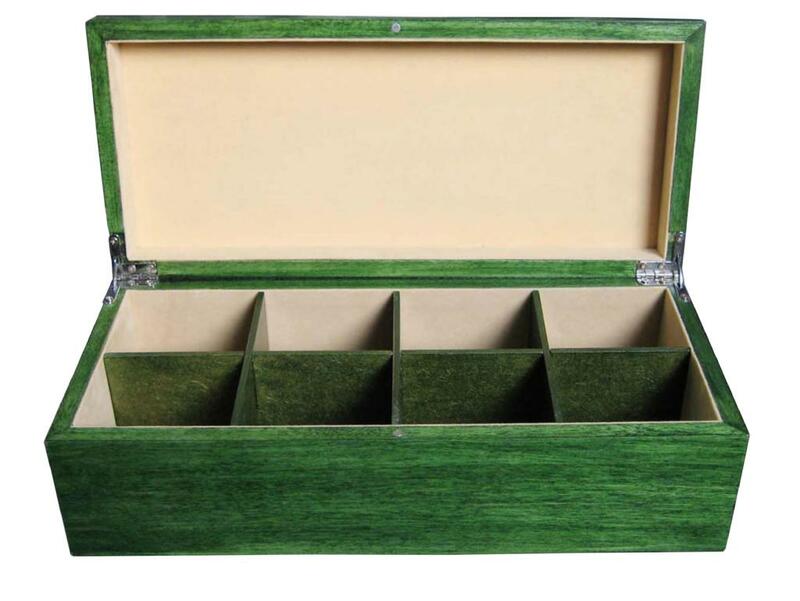 With 8 compartments, this tea packaging chest will hold 10 tea bags per compartment. 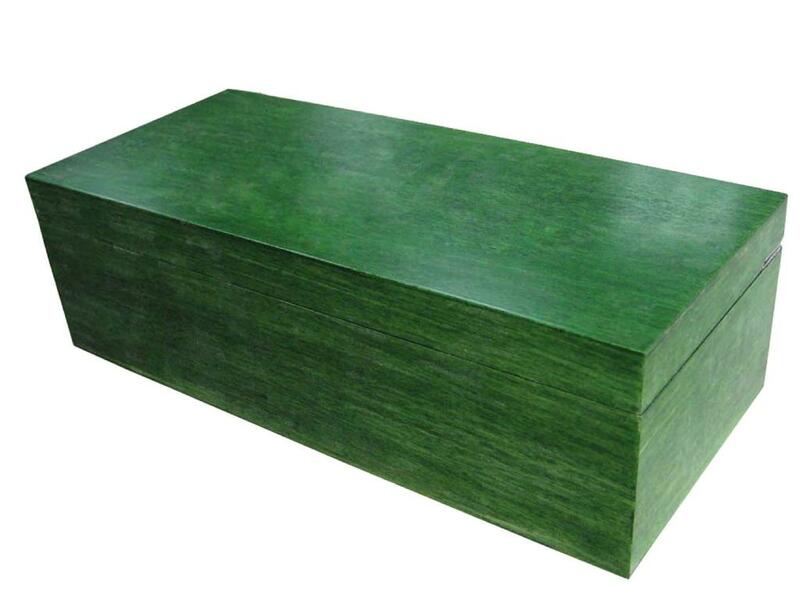 Wiped with a green satin stain throughout and lined with beige felt, this wooden chest is charming. Hardware includes silver 90 degree supporting hinges and a magnet closing mechanism. At Extreme Enterprise, our skilled craftsmen are committed to producing higher quality products, at a much more reasonable price than our competition.